Weathered Cedar Laminate Wood Paneling. Laminated panel requiring no additional finishing. Laminated plywood paneling has a high resolution photograph imprinted on quality paper that is then laminated to the plywood core using pressure, heat and adhesives in our manufacturing process. Curbside delivery to an easily accessible address is included in our price. Traditional wood paneling with a rustic twist. The aged look will create a lived in, casual feel to any space, be it a basement conversion, a cozy cabin, Nantucket or Cape Cod styled seaside cottage, high mountain lodge, a private fish camp or your treasured MAN CAVE. 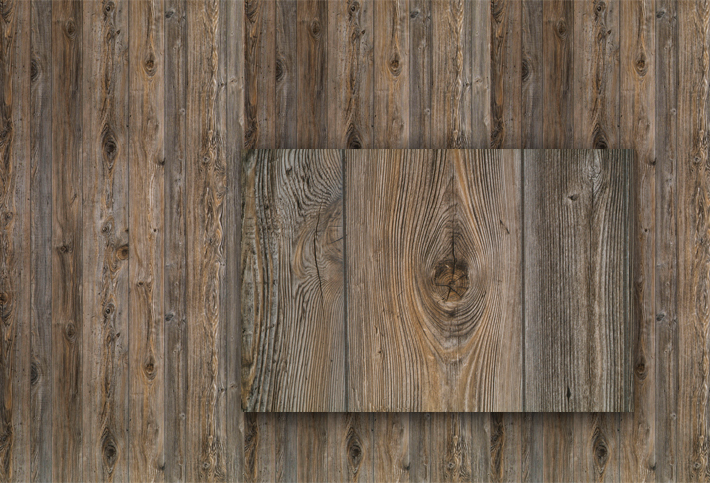 This is the right wall paneling for you! Love the paneling! Delivery was excellent! The shipping was really quick on our paneling! There was a problem with the zip code and it was going to be shipped to the wrong service center, but with one call it was fixed and rerouted! The day of delivery the truck pulled up and we were so impressed with the packaging of the paneling! Can't wait to get it up and be able to post a few pictures! Would definitely buy from this company again! Loved the personal service and quality of the paneling and the delivery!! Thank u!! Click the button below to add the 1/4" Weathered Cedar Plywood Paneling | 9-groove to your wish list.